Magnesium pays an essential role in the body, however, an estimated 80% of adults are deficit in this vital mineral. Magnesium deficiencies can lead to muscle aches or spasms, poor digestion, anxiety, and sleeping issues. Along with regularly eating magnesium-rich foods, high absorption magnesium supplements can help prevent a magnesium deficiency. Take a look at the benefits and market trends of high absorption magnesium supplements, then contact BioThrive Sciences to learn more about our private label manufacturing services. Although magnesium is not the most present mineral in our bodies, it’s one of the most crucial to our overall health. You may not realize it, but magnesium is involved in over 300 biochemical functions in the body, such as regulating heartbeat, and more. Unfortunately, magnesium deficiencies are so common because of digestive disorders that lead to malabsorption of magnesium and other minerals in the gut. This often makes individuals look for other options, such as high absorption magnesium supplements. According to market forecasts, magnesium sales in the nutrition market are expected to surpass calcium by 2020. In 2016, the magnesium supplement market was up 15% and over $85MM. 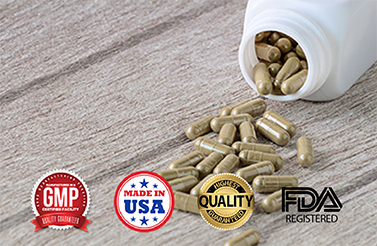 BioThrive Sciences proudly helps small, local stores and large corporations with private label manufacturing of high absorption magnesium supplements. What sets us apart is our high standards and quality commitment. In fact, we received our Good Manufacturing Practices Certification, which shows that we work to minimize risk and use the highest quality ingredients. Request a quote today for fulfillment by filling out our convenient online contact form or calling us at 844-263-3657.